But its release was delayed when Bey got pregnant. 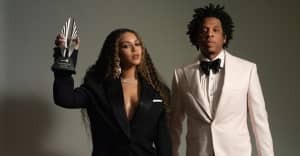 Michel Gondry, the director behind films including Eternal Sunshine of the Spotless Mind, says he worked on a project with Beyoncé that is yet to be released. In addition to making feature films, Gondry has a long and acclaimed history making music videos for artists including Daft Punk, The White Stripes, and Bjork. The FADER has reached out to reps for Gondry and Beyoncé.